Nearly five years ago, the first edition of the Florida Virtual School yearbook, Unbound, was published. Many things have changed since then, but one thing has not – this is a yearbook created by and for “unbound” students. 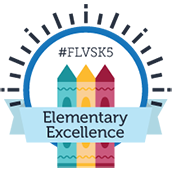 At FLVS, students are not bound to four walls of a classroom, nor are they bound to lectures that feel endless. Unbound was created to show off these exemplary students and our exemplary school. My name is Scott Schneider and I am the Editor-in-Chief of this year’s Unbound yearbook. 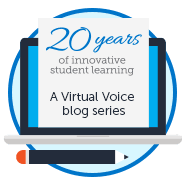 I am a Junior at FLVS Full Time, and I can testify to the unbound feeling that FLVS provides. Our goal is to provide that same feeling to students in the yearbook. We have created many ways to get involved this year without being bound to deadlines, countless hours of work, etc. One of the ways to get involved is through the Summer Cover Challenge! We created the Summer Cover Challenge to make this yearbook YOUR yearbook. Any student at FLVS may participate in the Summer Cover Challenge by designing a cover for this year’s theme (“I AM”) and submitting it to flvsyearbookeic@gmail.com by September 1, 2016. The winning cover design will be will be used on the 2016-17 yearbook. The artist of this design will get a spread about themselves in the yearbook. Another way to get involved is to become a staff member of Unbound. Any active FLVS student from FLVS Flex, FLVS Full Time, and FLVS Global School may participate. There are memories to be made and we cannot make these memories without student staff members. Joining is simple! 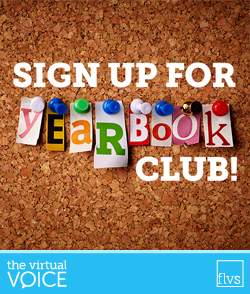 Simply fill out an application for FLVS clubs to get started. Attend our Open House to learn more! Our FLVS Yearbook Open House is a great way to meet this year’s editors and new staff members. The open house will take place on August 23, 2016, at 7 p.m. in the yearbook Blackboard room. The link can be found in the event details on the FLVS school calendar. We would like to thank the FLVS Marketing & Communications Department for providing the opportunity to share information about yearbook. Many things will change in the upcoming years but one thing will not, being Unbound. This entry was posted in Full Time Edition, Homeschool Edition, Student Edition and tagged Clubs, Extracurriculars, FLVS Clubs, Student Activities, Student Clubs, Student Voice, Unbound, Yearbook on August 22, 2016 by Guest Blogger. We’re in the black board room noone ekse is there ?